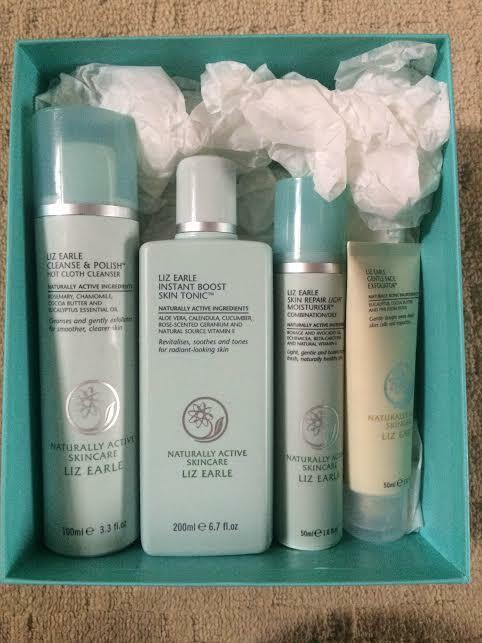 Today, I am sitting down to review some lovely Liz Earle products I purchased at the beginning of July. 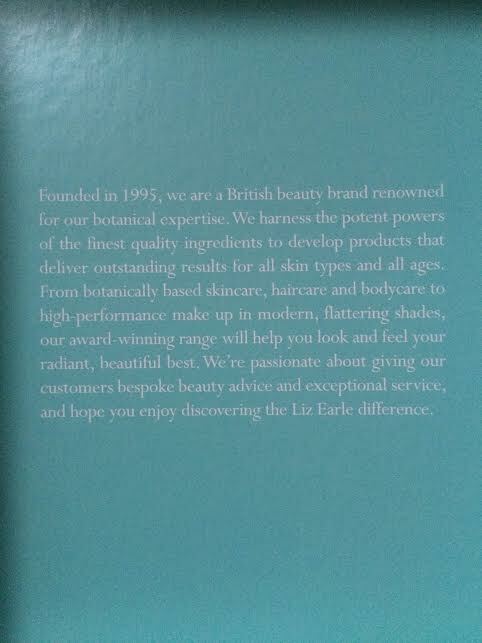 I've heard a lot of hype about Liz Earle's skincare for quite some time now, so I decided to invest, and see for myself. This is Liz Earle's famous cleanser, which promises to remove any residue left on your face at the beginning and end of the day, and my word does it do that! I couldn't honestly believe the amount of dirt it removed off my face the first time I used this, I was actually slightly disgusted at the amount of dirt it pulled off my face! I wasn't wearing makeup at the time so I hadn't expected anything to still be on my face! But, for me, that's where this product earns its brownie points, there aren't many products that can really cleanse your face perfectly, and this one just acts like a magnet and draws away all of the rubbish that a makeup remover can't. After cleansing my face with the Cleanse & Polish, I then go on to use the toner in this kit. This is so lovely to use, as I find it so cooling and refreshing, it really wakes the skin up in my opinion! I just pour a little drop of this toner onto a cotton pad and just wipe it all across my face and neck. This smells amazing too; you can really smell the scent of roses in this. I then move onto moisturising after I have cleansed and toned, and to do this, I use the light moisturiser in the Liz Earle skincare range. I can't really describe the smell of this but all I can say is that it just smells fresh and it feels like a dream when you are rubbing it in to your skin, it really feels like you are repairing your skin and bringing it back to life. As I do have oily skin, it's important that I use the light moisturiser as I don't want to be overloading my skin with products and causing a massive breakout. The moisturiser doesn't feel heavy on my skin at all and soaks in quickly. This is the only product I've not tried in this kit yet. 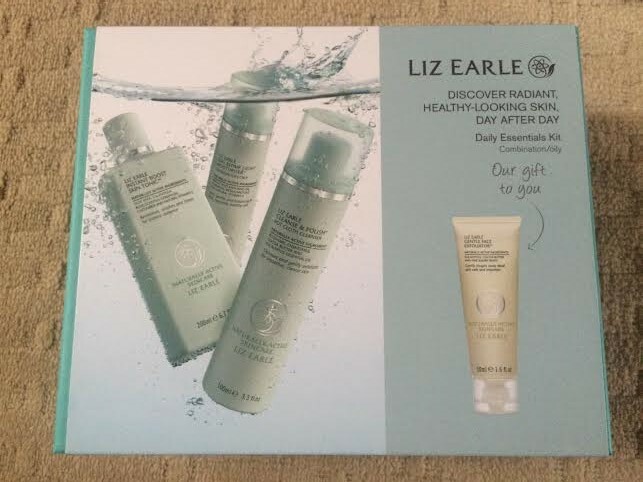 As part of my Liz Earle spree, I also decided to buy the Skincare Try-Me Kit. I wanted to get this as I thought it would be perfect for going away and not having to take full sized versions of the products with me. In this kit, it contains all the essentials, cleanser, toner, and moisturiser, but also comes with a face mask too. 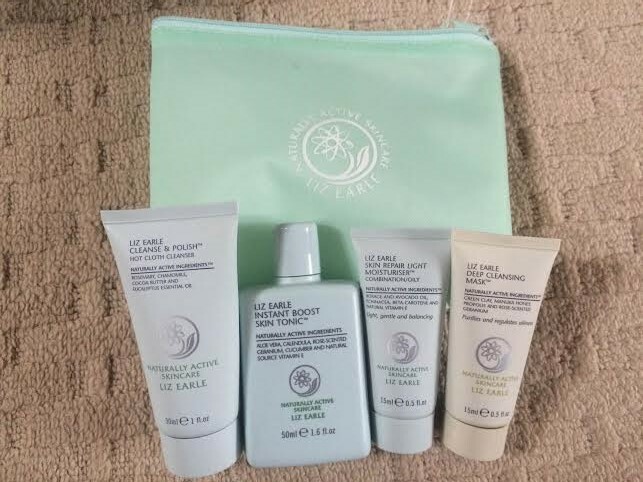 I'm really looking forward to taking it with me when I go away and being able to continue on with the skincare routine that I've built up with Liz Earle over the last month. I have to admit, I really have noticed a difference in my skin, it seems a lot more alive and hydrated, and I have had lots of people tell me that my skin is looking radiant, so it's definitely a step in the right direction. I'm totally converted!